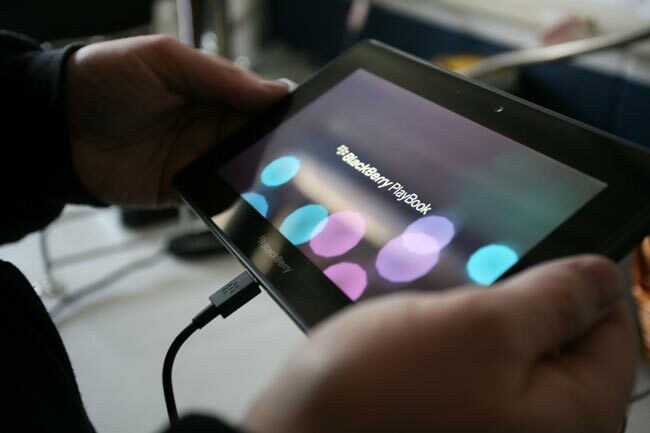 Last week RIM announced its latest software platform, called BBX, and we also heard that it would be able to run Android apps, and now we have our first look at Android apps running on the BBX platform on a BlackBerry PlayBook tablet. The video below shows a number of Android apps running on the BBX platform, and as you can see there is a section on the main home screen which is labeled Android Apps. RIM has been talking about adding the ability to run Android apps on the PlayBook for some time, although it has now been released to developers with the new BBX software we still may have to wait a while until the land on the PlayBook.